Get your puppy ready for the holidays by taking Puppy SmartStart now. - Bite inhibition before the holidays. That is, not chewing on grandma, or her shoes, or the presents she brought. 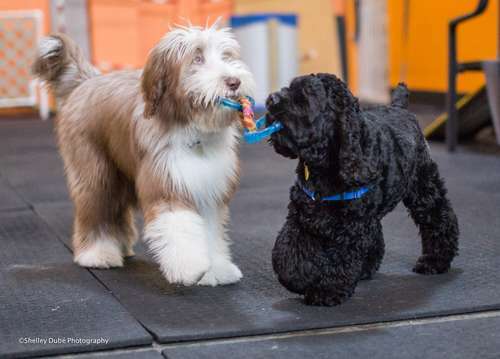 - Appropriate socialization to other dogs, objects and people.